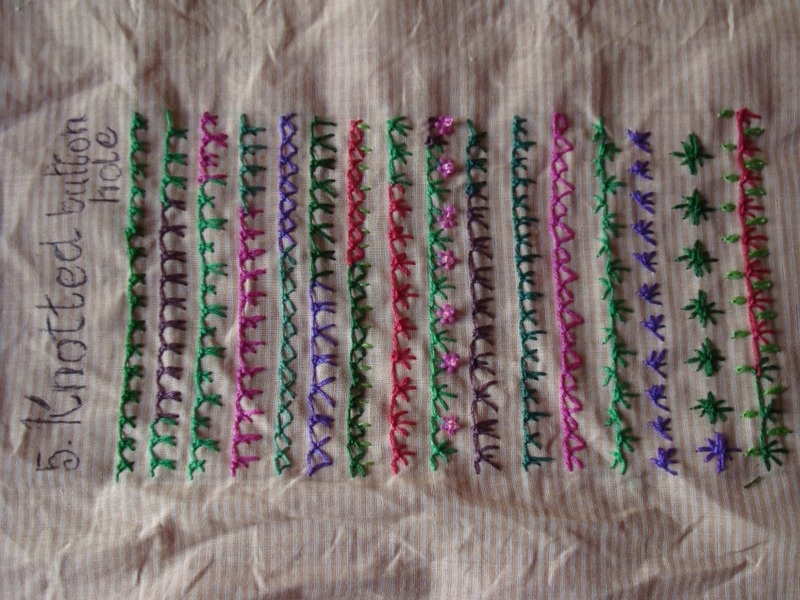 This is sampler of fifth week ofthe challenge TAST 2010-Knotted buttonhole stitch. I started this sampler, with threads of different thickness.Then went on to increase and decrease the length and width of this stitch.This gave different variations of this stitch. 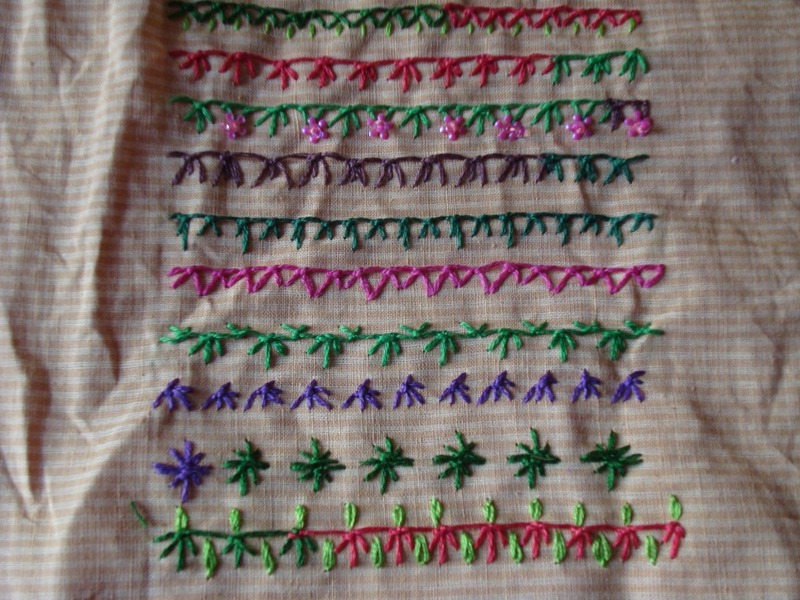 Then I added some straight stitches,sequins to the basic stitch to see effect and enjoyed it. 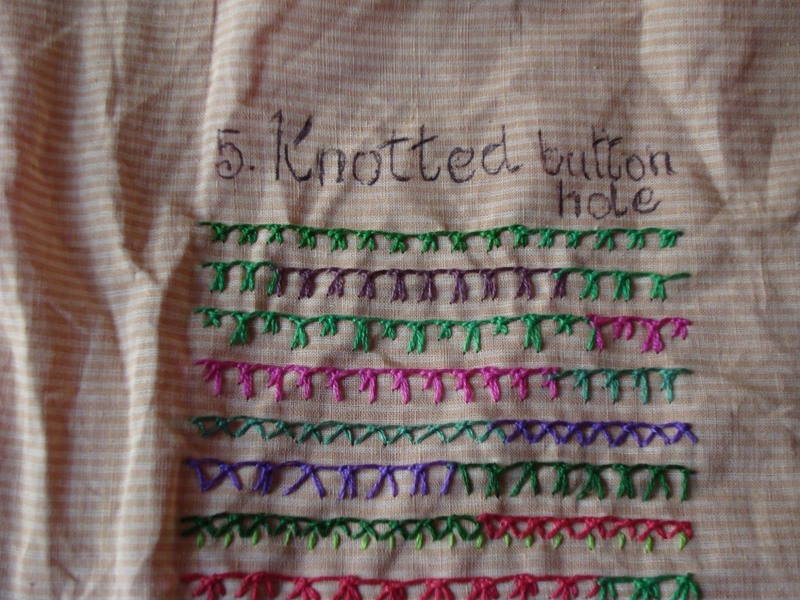 Then this stitch was tried on top and bottom on the same line, individually,and with detached chain too. This stitch really blends for so many variations.And will prove useful when I start my crazy quilting.